No matter how long the economy takes to recover, the Sedona AZ real estate market is poised for full recovery sooner or later due to its unique supply and demand characteristics. And it will happen far sooner than the rest of the country, many thanks to Sedona’s unique recipe of natural beauty, small town charm, and pleasant climate. Set amidst 160,000 acres of National Forest Service property, Sedona has very limited land for development. As a desert jewel island of private property surrounded on all sides by National Forest, this means that expansion is finite. The Sedona AZ real estate market is different from other markets in that it has been dubbed by USA Today as “The Most Beautiful Place in America.” With its great beauty, mild four-season climate, it is, to say the least, a highly desirable area. So, it’s a safe bet to say that the demand for Sedona AZ real estate will continue to be high, driven by aging Baby Boomers buying second homes and retirement homes–while supply, curtailed as it is by National Forest lands on all sides, will continue to be limited. A sure recipe for a great long-term investment if there ever was one. This isolated demographic phenomenon will likely continue for the next few decades, ultimately moving prices to incredible highs as land supply vanishes. Over the long term, this natural supply barrier makes a buyer’s investment considerably safer than most. Buyers do have a clear advantage right now and they’re beginning to return in strength. If you are looking for an investment bargain, the time is now because the price is right. There are almost four times as many homes and lots on the market with greatly softened prices than there were in 2005. There are also a large number of foreclosure properties available. If you know how to buy foreclosures correctly, you can end up with an amazing bargain. 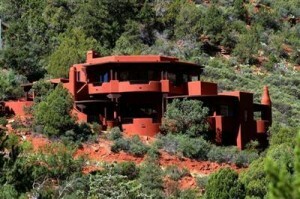 Sedona AZ real estate has been booming since 2001. Between 2004 and 2011, there was a lull due to the economy that was also experienced by most other markets and which has recently picked up again. It is widely believed that as the economy improves and we see stabilization and continued improvement in the real estate market, it is expected that the vacation homes and second homes markets will begin to heat up again. Currently, land is down anywhere from 60-80% from highs in 2007. Lots in West Sedona now begin at about $75,000, but they used to start at $300k. The median selling price of a single family home in Sedona has risen, on average, over 12% a year since 1996. That dropped to 9% in 2007, which is the first-ever decline for that particular market. As of now, the median price for a home in Sedona, Arizona is approximately $400,000. Sedona AZ real estate includes exquisite estates, fine homes, charming vacation getaways and sterling land with or without sought-after red rock views. The balance of the Verde Valley also has a number of interesting opportunities such as the lush Verde River greenbelt, the Jerome arts community, and abounding rural properties. The greater Verde Valley real estate offerings are diverse in style and price with new construction ranging anywhere from about $200,000 to several million dollars.